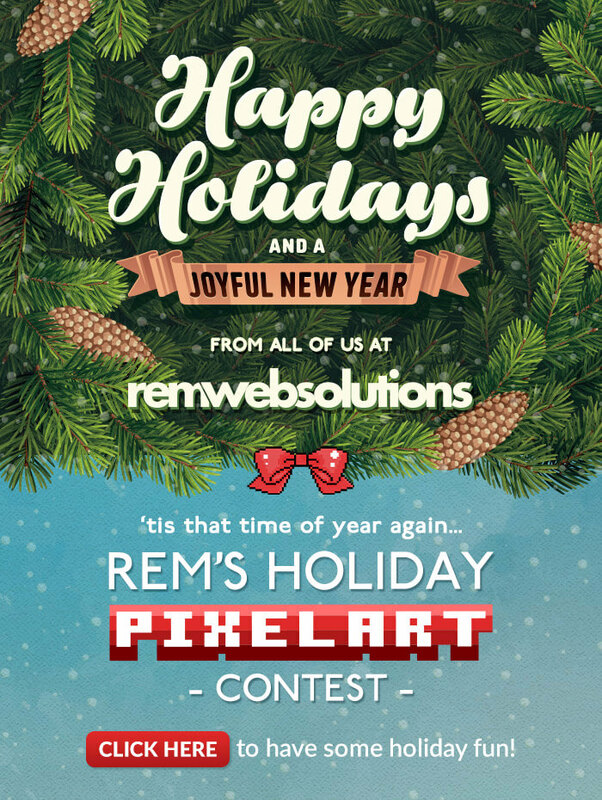 Thank you for supporting REM in the past year. We Are Giving Away Toys And Need Your Help! This year we wanted to do something extra special by bringing holiday joy to children in need. We need your help: REM's goal is to donate $1000 worth of toys to the Toys for Tots Charity. We need you to vote on our pixel stocking artwork. PLEASE CLICK HERE TO VOTE! Most importantly, we wish you a Fantastic Holiday Season and a Bright & Energetic New Year! As a friendly note: We will be closed on December 25, 26, 27 and January 1 to allow our team a chance to spend time with their team. We look forward to working with you in 2018.